Working Electric 1/2" scale Modern Floor Lamp Brass w/ Black Shade. Approx height: 2 1/4" high by 3/4" wide. 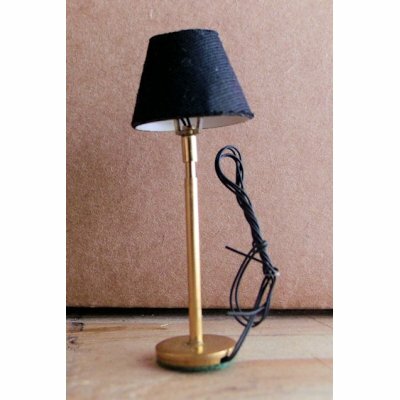 Nice miniature floor lamp in brass finish with satiny black lamp shade. Wired and includes LED bulb. This 1/2 in. Modern Floor Lamp Brass w/ Black Shade - Electric is supplied by Mary's Dollhouse Miniatures, which generally ships within 1 business day(s) of you placing your order .